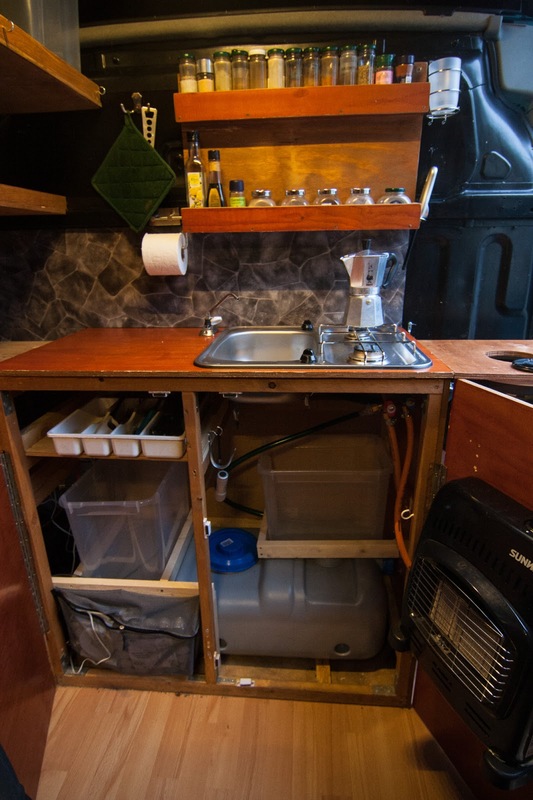 Sad but true, but it’s time to sell our beloved campervan. For the last years it has been our home on our climbing trips. 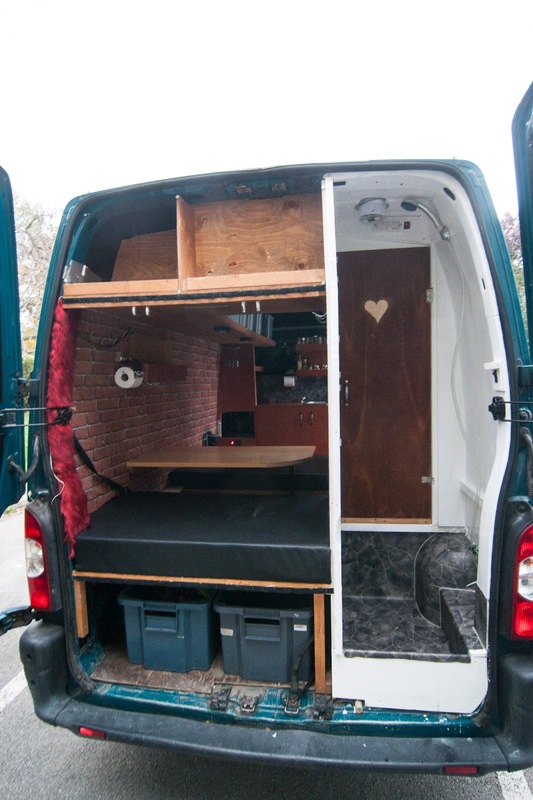 We bought and built it in 2012 and since then we have driven almost 50 000 km around Europe. Most of the trips have been just weekend trips, but the car is very nice also for longer trips. The shower and heating system make living very comfortable. The longest time we have lived in the car has been two months in a row. The car is old, but as we bought a new engine to the car in 2013, I dare say it still has a lot of kilometers ahead. We have now driven 27 000 km with the new engine. We have already got some questions from our friends who are wondering why are we selling the car. There are basically two reasons. The first one is that we don’t need it anymore. We have been climbing 4 days a week since we moved to Austria, and the longest we have been climbing so far is about 85 km from Mödling. 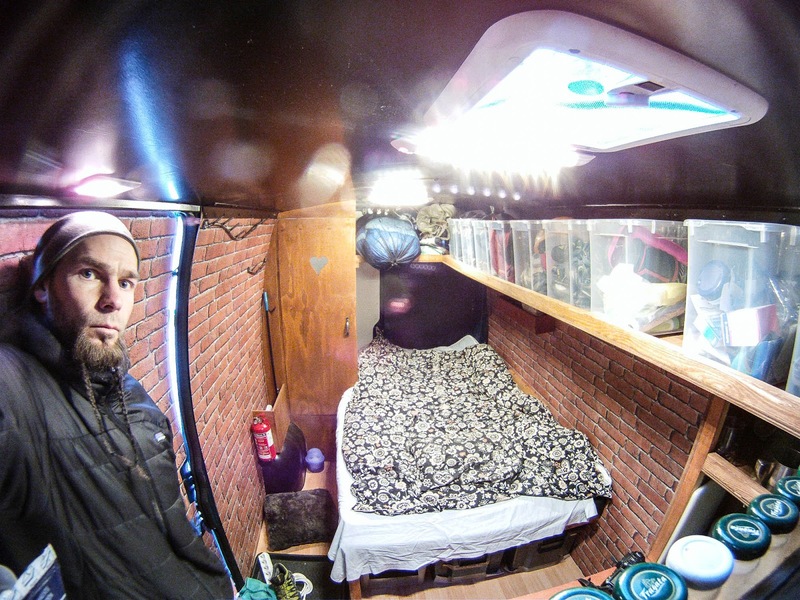 It’s a bit pointless to have a campervan when driving home usually takes less than half an hour. 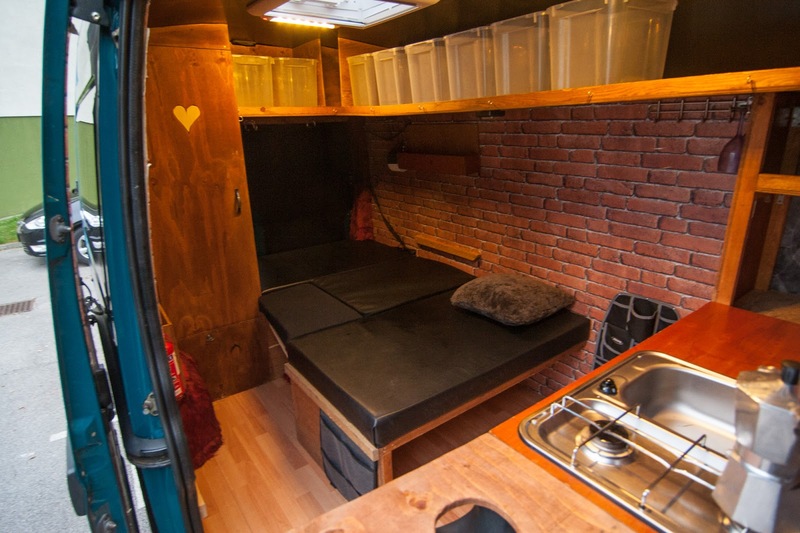 It’s like living in Helsinki and having a campervan for climbing at Rollarit. Or living in Umeå and using a campervan at Vallberget. 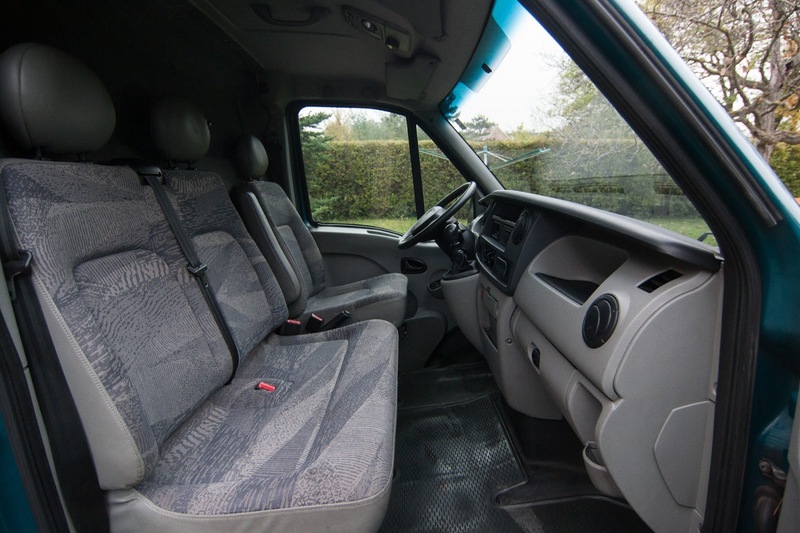 Of course, this probably will change for us in the future, but for the next few years it’s hard to see the need for a big campervan. The second reason is that now we have possibility to buy a new car through Anu’s work, and in many ways it would be stupid not to use this possibility. 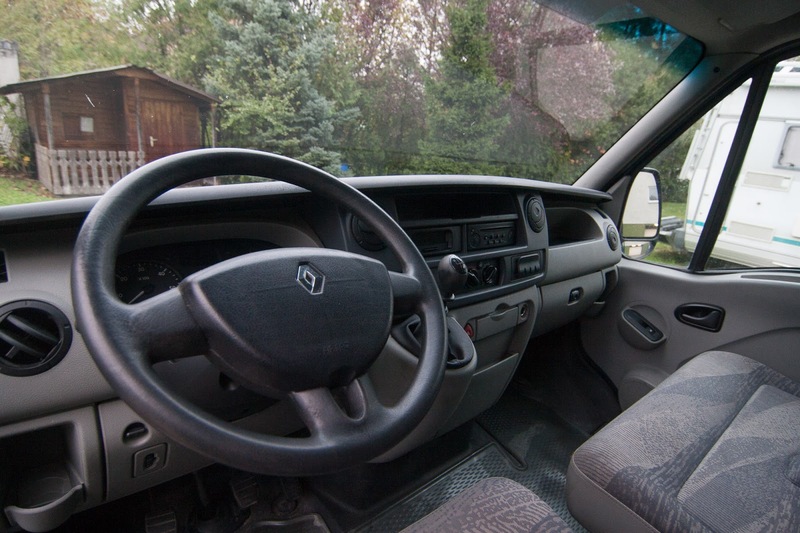 However, having two cars is not the best option at the moment, so unfortunately it’s time to sell the van. 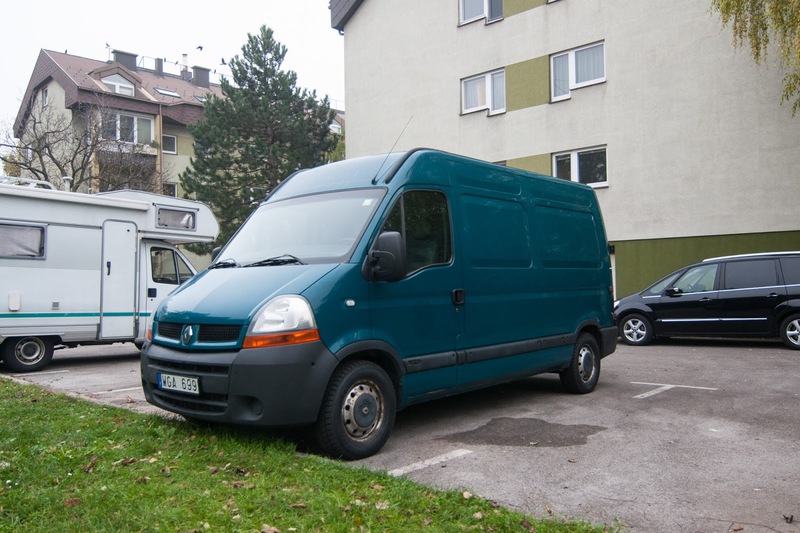 -Renault Master Fdcuh6, registered 11/2004, mileage 446 723 km. -Stamped in January 2014, running time to 31 Jan 2015. 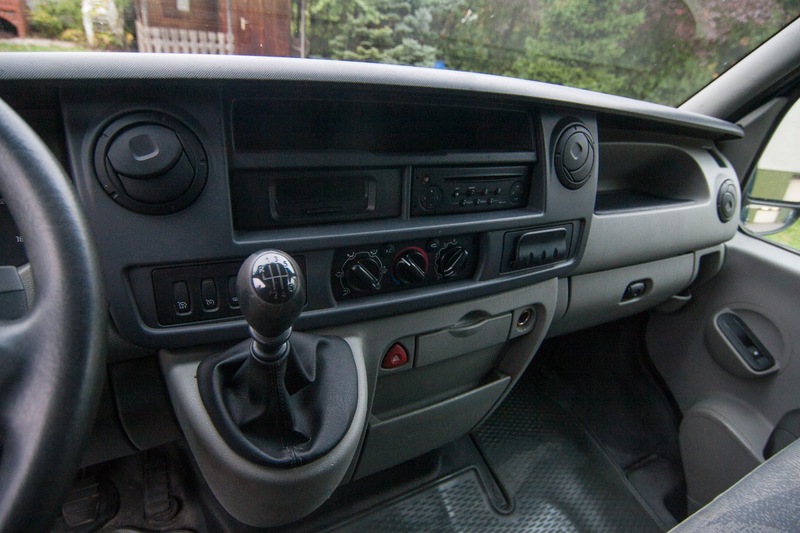 -Registered in Sweden as a light truck (B-license ok). 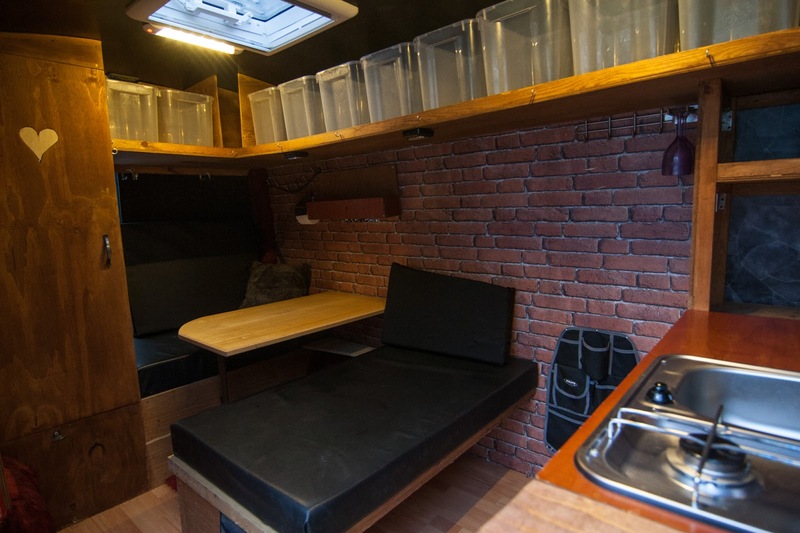 -The van is 5.5 m long, and the height is 2.6 m inc. skylights (inside is approx. 185 cm). 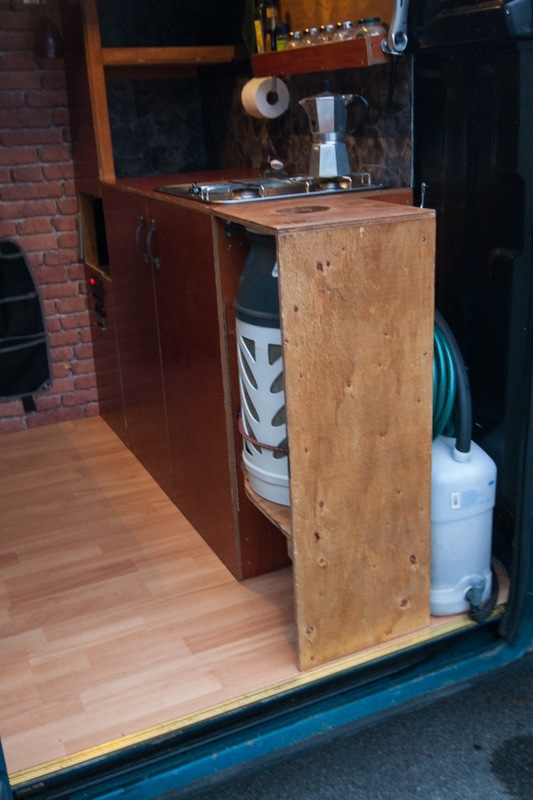 It fits 42 50-liter moving boxes even when the kitchen and the bed are in place. -Lots of storage space! Under the benches there is room for 4 x 50-liter moving boxes + 1 x 35 liter. 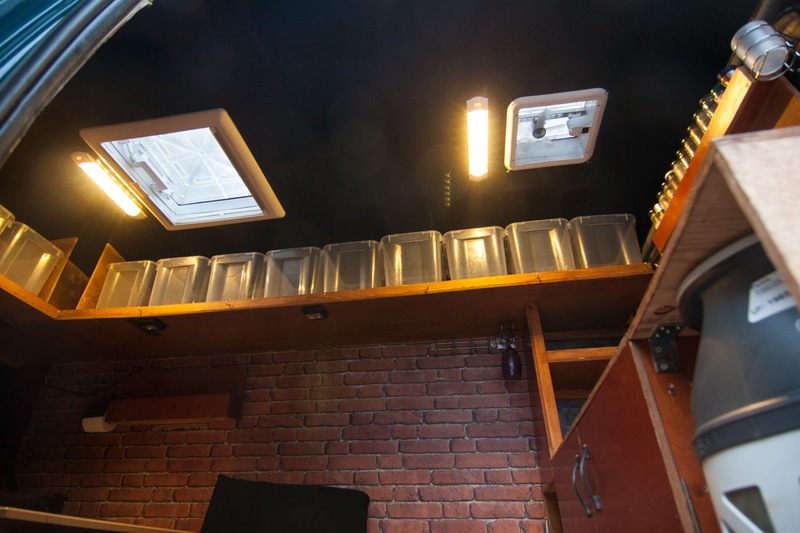 Top shelves have 11 x 20-liter boxes, in the kitchen there is room for five 20-liter boxes or, alternatively, saucers and other kitchen utensils. -100Ah extra battery attached to the main battery; disconnected while at camp, and both are loaded while driving. An extra 70 Ah battery is included. -A full PK 10 (composite) gas bottle is included. -Gas stove (2 burners, bought as new in 2012). 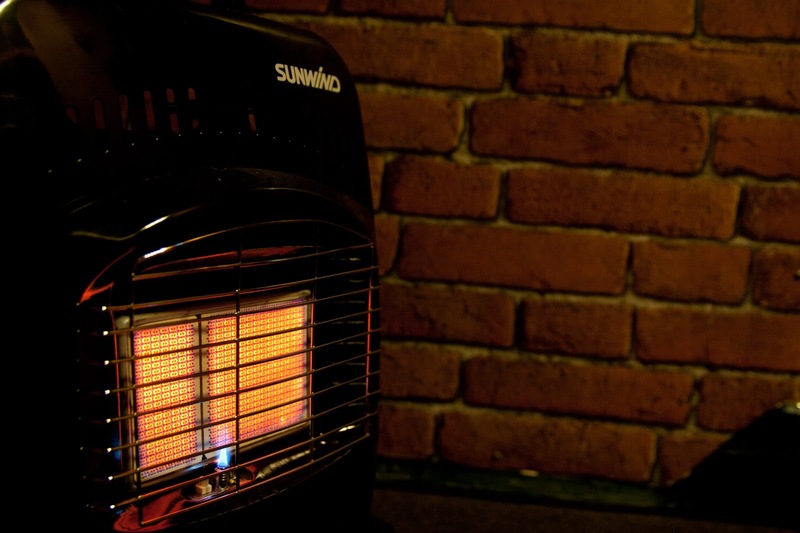 -Gas heater with two elements (i.e., two different power levels); temperature can also be adjusted by opening sunroofs and ventilation ducts. In -30 degrees below zero, the bed is easily still at + 20 ° C! -Two skylights /roof windows. One 500x500 cm (bought as new in 2014), another with a powerful fan 280x280 cm (bought as new in 2012). Both have a mosquito net and shade curtains. -Small ventilator operating by a solar cell and a battery on the roof (bought as new in 2014). -One 12 x 12 cm ventilation hole on the side door (can be closed when needed). 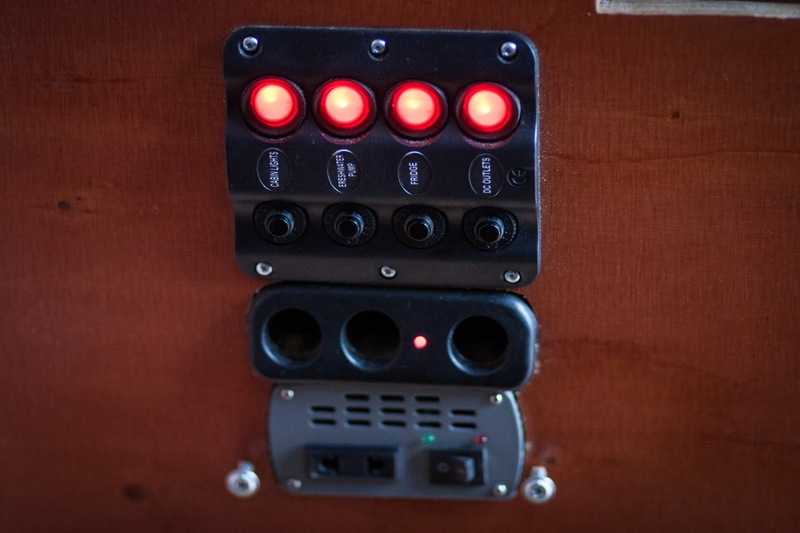 - Sound system, e.g. a 10" subwoofer (bought as new in 2012) with 1x200W amplifier (or 2x 80W stereo). The amplifier is ancient, but kicks nicely. 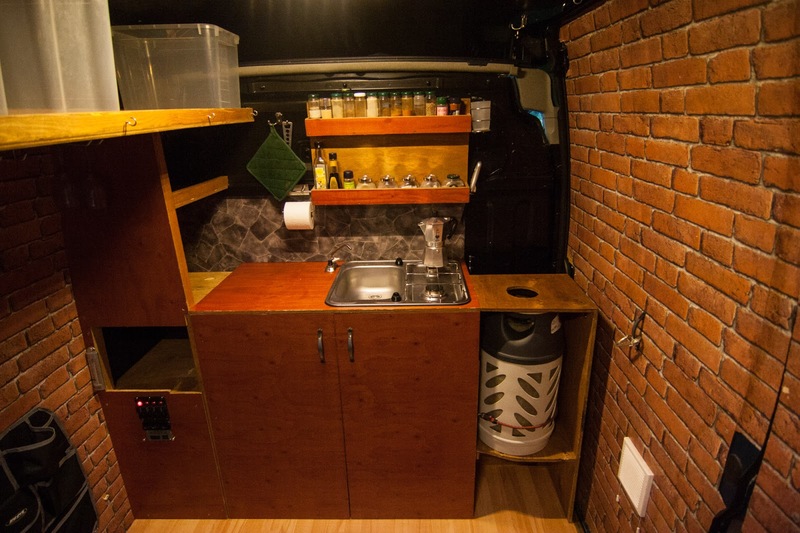 -We can also discuss selling the van without camping gear. The car is also suitable as e.g. a moving truck. At the moment, the car is located in Mödling, next to Vienna.